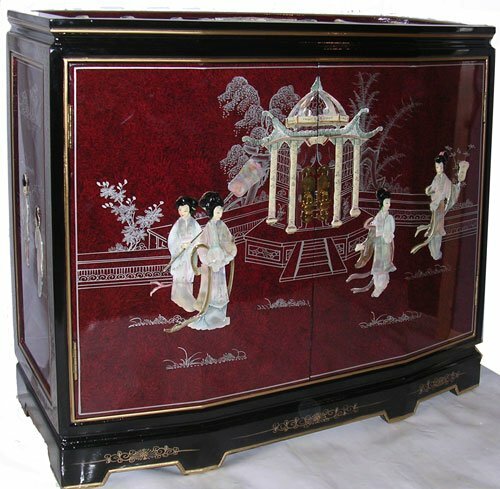 Beautiful Chinese Cabinets for Your Home! 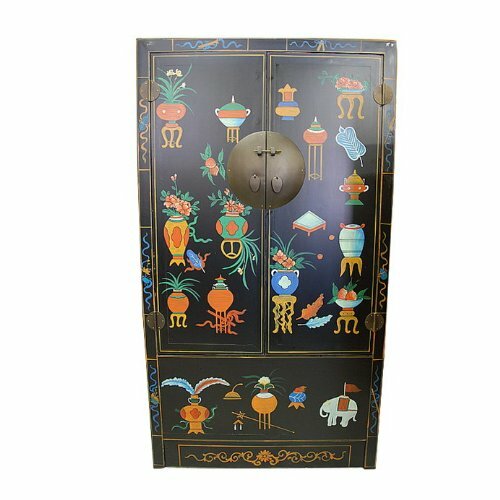 I was able to find some of the most beautiful and very zen Chinese cabinets being sold online! 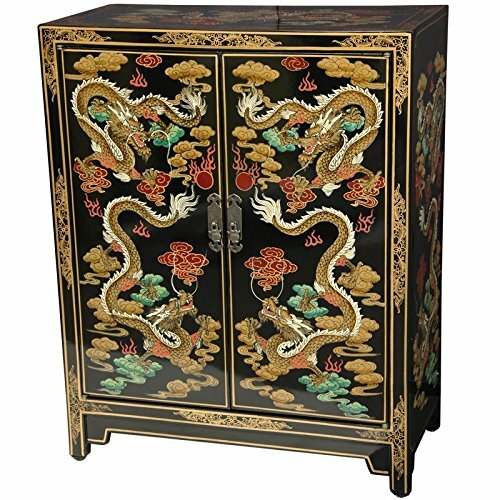 From gorgeous and very colorful red and gold Chinese cabinets to the most rare and antique Asian cabinets found! 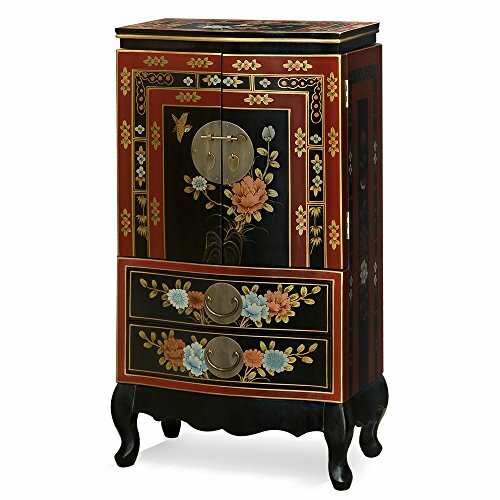 *By the way, how gorgeous is this gold leaf lacquered floral shoe cabinet in the picture? I really enjoy all the unique colors and traditional oriental designs on these beautiful Chinese cabinets! Have a great ‘zen’ day! This beautiful Chinese cabinet is made of solid elm wood and it has two removable shelves inside. I love the beautiful and shiny red lacquer finish! Either way it is beautiful and very useful! What a gorgeous and fairly large Tibetan jewelry cabinet for women! I love this beautiful floral motif! Perfect to create a beautiful ‘oriental style bedroom’! What a gorgeous vintage style Oriental apothecary cabinet for sale! 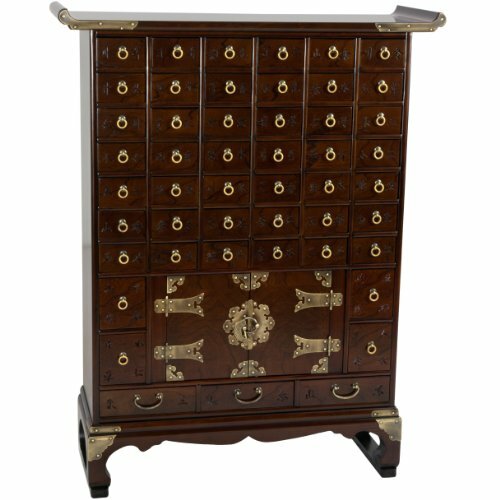 If you pay attention to the picture, each of the 49 drawers has the name of herbs it used to hold! I also LOVE the gorgeous Elm wood finish! 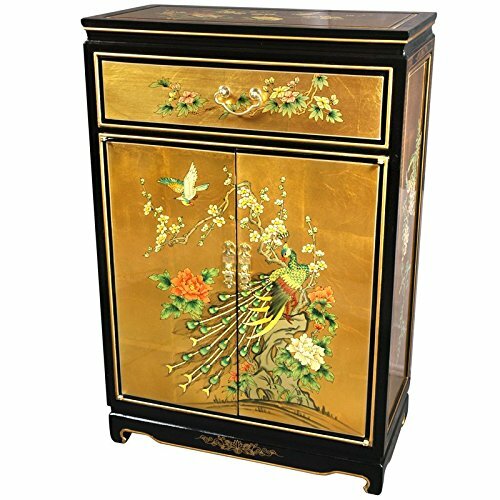 If you are looking for the most beautiful Chinese cabinets in gold leaf applique (my favorites!) 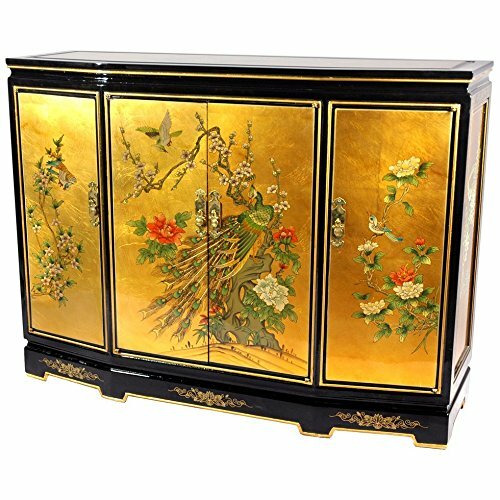 for sale, I think you are going to LOVE this stunning oriental buffet server cabinet! It has a beautiful and highly-detailed hand-painted peacock and flowers on the golden background! If you are looking for cute and colorful Chinese cabinets for your home I think you are going to love this one! Another gorgeous and very unique Chinese antique style cabinet! It is very tall and very spacious inside. Made of elm wood and will probably last for generations to come! 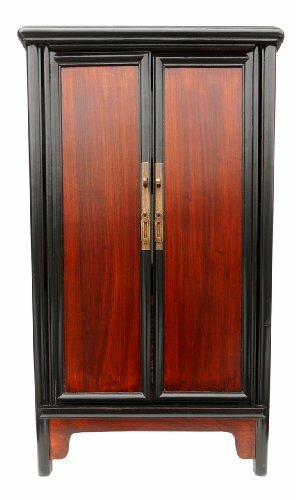 Another beautiful and very tall Chinese cabinet armoire for sale! I love the colors and the very cool designs! This one is even bigger and taller than the one before! You can either have it in your bedroom to keep all your folded clothes and shoes inside or you can have it in your dining-room or living-room and keep tablecloths, wine glasses or throw blankets. This is a gorgeous 30 inches wide red Mother of Pearl Chinese cabinet for sale! Beautifully carved with mother of pearl figurines! You can have it in your dining-room to keep all your glasses and plates, for example, or you can have it as an accent piece in your living-room and keep books, magazines and board-games, for example. 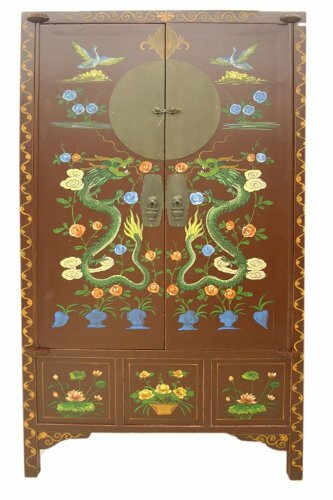 Check out this gorgeous Chinese dragons storage cabinet for sale! I also love the black color and gold dragons. Great to have anywhere in your house!